American ginseng (Panax quinquefolium) is an herbaceous, perennial plant native to North America, Siberia, and select parts of Asia. This plant was first cultivated in the latter portion of the 1800s, though it’s been prized as a healing herb for centuries by Native Americans, and far longer by the Chinese. The scientific name of American ginseng directly references its potent medicinal qualities, as it is derived from “panacea”, which is a Greek word that means “all healing”. Ginsenosides are unique compounds found exclusively in ginseng and consist of steroidal glycosides and triterpene saponins. These compounds are believed to be responsible for most of the health benefits of ginseng, particularly in terms of increasing endurance and counteracting stress. A notable use of American ginseng is in fatigue prevention and energy provision. One way American ginseng accomplishes this is by improving blood circulation, which in turn stimulates physical and mental activity. Moreover, American ginseng root is considered to be a powerful adaptogen, or a substance that reduces the effects of stress. For a root to be effective it must at least be four years old, however, so the older the root, the more potent its adaptogenic effects. American ginseng is thought to have common cold-fighting effects, as taking it has been shown to diminish the severity of symptoms and shorten the duration of the sickness. American ginseng has been found to boost the immune system overall, not just against the common cold. By increasing the number of white blood cells in the body, American ginseng effectively aids in resisting and fighting against diseases and infections. American ginseng is typically taken as a tea or decoction. 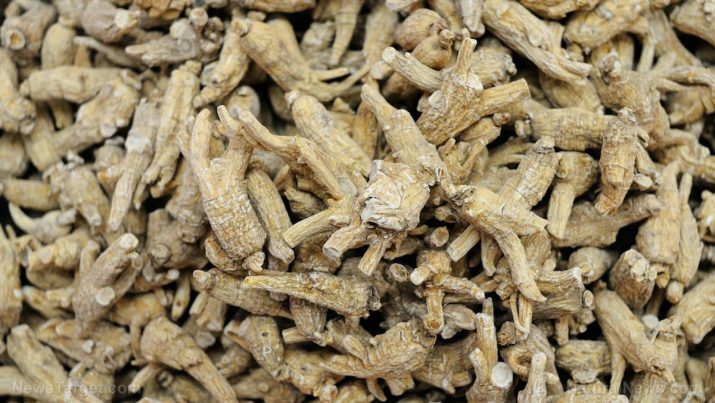 While American ginseng tea is made by grinding the root, decoctions involve boiling the whole root in water. There are less conventional yet effective ways of taking American ginseng, such as in a chicken soup recipe. This specific recipe works off the reputation of American ginseng as a cooling herb, or an herb that combats unnatural body heat. Note: American ginseng can be helpful, but it comes with a number of side effects that include insomnia, low blood sugar, and rapid heartbeat. Like other varieties of ginseng, American ginseng is loaded with special health-promoting compounds that aren’t found in any other plants. What makes American ginseng even more unique is its ability to cool and calm the body. Its calming effects have made it effective in relieving fatigue and stress. 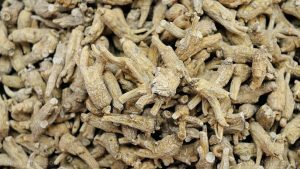 However, American ginseng is best taken under supervision, as it can cause such side effects as insomnia, rapid heart rate, and low blood sugar.